The placement enables students to apply theoretical knowledge in a challenging work environment. Students are assigned a tutor who visits during the placement to discuss progress. Whilst on placement, students are required to complete a project, which forms a key part of the overall assessment of the final year. The opportunity for a full-time position upon graduation may arise. 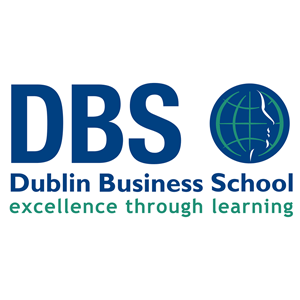 Visit dbs.ie to learn more about this programme. Entry Requirements 2 H5 + 4 O6/H7, to include Mathematics & English or another languageNB: Students must achieve a pass in all subjects at level 2 in order to be eligible for the placement programme. Carear Path Because of the broad spectrum of subjects studied, career opportunities for business students are numerous. The wide-ranging nature of knowledge and skills gained by business graduates makes them an attractive proposition for any prospective employer. A range of employment opportunities are possible in areas such as marketing, sales, operations, information technology, finance and general management.Graduating students wishing to pursue further qualifications can proceed to postgraduate programmes up to Masters level or to programmes leading to professional qualifications.